Legends of the Arena is a Pokémon game that's been cooking for a while—and you should totally check it out. Developed by "Wackyturtle," the fan-game focuses on a prestigious tournament, with Pokémon Colosseum-style battles. Think of it like a more extended Elite Four, except there seems to be a sense of history to the tournament. Your starter Pokémon is determined by a personality test—but instead of the usual suspects, the game will give you one of eight different Eevee evolutions. Interestingly, Ghost type Pokémon are illegal in the tournament, a twist which I like because it gives the type more texture. They're not just another Pokémon type. They're ghosts! Paranormal stuff! Shouldn't there be more of an element of of taboo or mystery around them in the actual games? Well, in Legends of the Arena, the only people who use ghost type are the villains, because of course they do. The game does feature things from the newer games, like mega evolutions. But Arena's take on mega evolutions is different—it's not a feature that is there to just make your Pokémon more overpowered. Instead, mega Pokémon are used as a world-building mechanic, with the player sometimes coming across fearsome megas in boss fights. Catching these megas just reverts them to their normal form; they're not there for fanservice. Wackyturtle says its possible they'll give a mega ring to the player after they beat the main game, though. And you can check out Let's Plays here. More importantly, you can download the newest build here. Wackyturtle says they're halfway through development now, so the game is only going to get bigger and better. We'll keep you updated on it. PS. 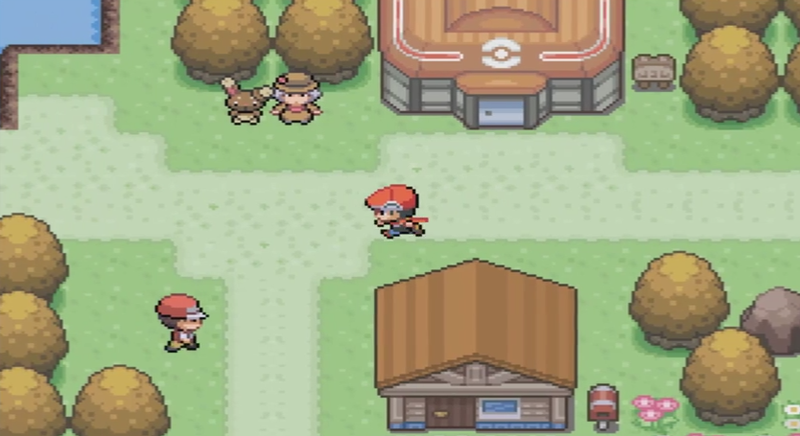 If this game interests you, you might be interested in checking out Pokemon: Insurgence, too—another promising fan-game.